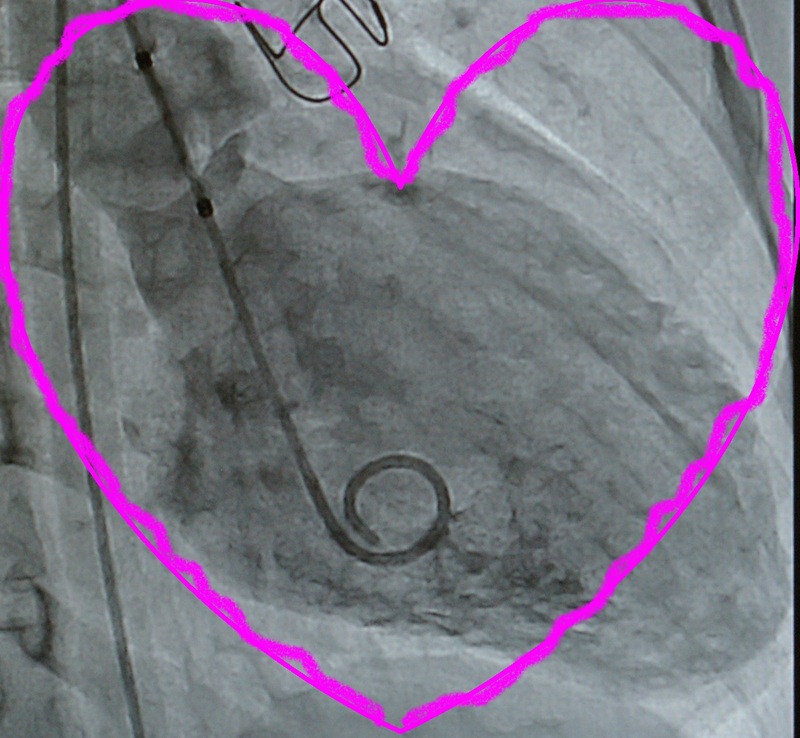 For Valentine’s Day we give you our favorite heart. And, owner of this heart (also super model): Charlotte! Categories: Ann and Robert Lurie Children's Hospital of Chicago, cardiac catheterization, CHD | Permalink. In January 2005, our world was rocked and we thought it might come to an end. That was when Dr. Rudy Sabbagha informed us that our unborn child had a congenital heart defect. He was pretty sure that the specific defect was tetralogy of Fallot. As my high school friend’s daughter, then 13-years-old, had survived a one-time repair for that defect and was thriving, I was relieved. We later learned that the defect was Truncus Arteriosus, a far less common heart defect. We also learned that only 50% of babies are diagnosed in utero with TA, so we felt lucky, in an odd way. Our first online searches for support and information were unsuccessful. Eventually I gave up looking. I started this blog, putting our emails online at first and then updating as we went for prenatal visits, when Charlotte was born, and throughout her surgery. And then people began finding me and Charlotte. The first time a family posted a comment about TA, I got chills. Over the years we’ve collected about a dozen comments from parents who have found comfort in Charlotte’s story. Some of them have their own blogs and I try to keep up. Some of them stopped writing their blogs, and I feared the worst. Francie Paul gave birth to a healthy baby boy in August 2005. Or so she and her husband Brian thought. A few hours later, Joshua began turning gray, his oxygen levels plummeted, and he was rushed to Children’s Memorial Hospital. The doctors determined that he suffered from severe complex congenital heart disease, which is a combination of several CHDs, and at four-days old, Joshua had open heart surgery. He had another surgery at about three months, and another near his third birthday. Francie and Brian found themselves shaken and changed. They could have retreated to their home and become insular, handling Joshua’s medical issues privately. But they did not. Instead, they asked the doctors, “What can we do for other children with CHD?” They were told that the greatest need was research funding. So they began raising funds and in 2007 founded the Saving Tiny Hearts Society. Each year, Saving Tiny Hearts donates its funds to a particular research project that is chosen by the medical professionals who received the previous years funds. In that way, the medical researchers choose the most important and promising research, and the philanthropists do what they do best, raise awareness and funds. Francie somehow found our blog and called me. She has been not only a shining example, but a steadfast friend, touching base when she knows Charlotte has a surgery or procedure. She’s a pretty intense mom and person, and I admire her tenacity and drive. As Brian notes in the Parade interview linked below, very few 35-year-olds have severe complex congenital heart disease, and very few 45-year-olds have Truncus Arteriosus. We don’t know what the future holds for our children. We do know that there is a chance that either Charlotte or Joshua might need a heart transplant in their twenties or thirties. (I don’t like to think about that and don’t talk or write about it very often. I keep faith in the fact that her heart suffered no damage prior to surgery and we’ve had no complications between surgery. Joshua has been similarly healthy, thank goodness.) Brian and Francie have decided to aid the future by funding promising research and I applaud them. Jessica Renshaw Harris: Jessica is a young woman in her mid-twenties who was born with Truncus Arteriosus. Like Joshua, she was born seemingly healthy and was rushed to the hospital when she turned blue. She had her first repair at three weeks old and her second at three years old. After that she had few complications that I know about. Jessica found us when she was about 23-years-old. She was getting ready for her third repair (a valve and conduit replacement, or what we call a “tune up”) and was just beginning to wrap her head around managing her own health care. She was, in fact, having elective surgery so that she could do it while still well-insured. Jessica had some post-surgical complications after that surgery (in 2009), but is largely doing very well. We had the pleasure to meet her in August 2009 and it warmed my heart to see Charlotte talking to a grown woman who shares her experience. While Charlotte and Jessica are as different as can be, they share something that we can never share–the understanding of what it is to live with a mended heart. We treasure our relationship with Jessica and her mother, and the friendship they reached out to give us. Caden’s Story, a blog by another wonderful heart mom whose six-year-old son Caden was born with TA. He’s doing great! Categories: Ann and Robert Lurie Children's Hospital of Chicago, CHD, Children's Memorial Hospital, Truncus Arteriosus Type 1 | Permalink. Congenital heart defects are the leading cause of infant mortality in the United States. CHD affects 1% of all newborns in the U.S. and are responsible for more deaths in the first year of life than any other birth defect. A recent-ish study demonstrated that truncus arteriosus is one of the most expensive hospitalizations of any defect. An average neonatal stay is $192,781. Average hospital stay is around 21 days. * (Recall that Charlotte’s first stay was 49 days; she was above average even then!) Charlotte’s most recent hospital stay, an angioplasty that required only one overnight stay, came in at more than $66,000, so I’m guessing that her neonate stay was much higher than average. 90% of newborns survive their first repair. The degree of complications after that surgery is hard to track, I think. It depends on how much damage the heart suffered prior to repair (for Charlotte, minimal, thank goodness), what other underlying medical issues are there, and (I think) each child’s individual constitution. Those are the CDC stats, the numbers that parents seek out when they first hear those life-changing word, “The ultrasound shows…” After that other numbers take over, ventricular performance, pulse ox, weight, medicine dosages, food intake, months to next surgery, etc. Parents seek out other parents, and in 2005 that was hard to do. While I try to avoid medical advice and information on the internet, I have relied on it for reflux support and I am proud that this blog has given it to other parents facing Truncus Arterisus and other CHDs. To celebrate and raise awareness, I’ll spend the rest of the week writing about CHD, community and support. I’ll talk about two of my favorite CHD parents–Tommy Riles and Francie Paul–who have taken inspiration from their children’s medical difficulties to raise awareness and money for children born with congenital heart defects. I’ll talk about how the new Ann and Robert H. Lurie Children’s Hospital of Chicago makes a difference every day for parents and kids facing CHD, both the facility and the US News & World Report-rated Cardiology team. And I’ll end with Charlotte’s post-catheterization check-up, serendipitously scheduled for Valentine’s day. If you are a parent of a CHD child, or have a CHD yourself, I invite you to tell your story in a comment, and/or add a link to your own blog. Categories: Ann and Robert Lurie Children's Hospital of Chicago, cardiac catheterization, CHD, Truncus Arteriosus Type 1 | Tags: Congenital Heart Defect Awareness | Permalink.